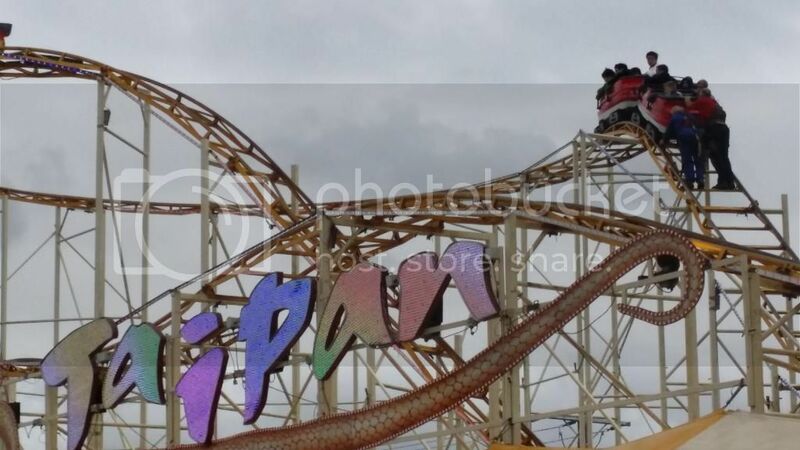 At the show today when I saw the TAIPAN coaster stuck after the 1st drop,,, Was kind of relieved I wasn't on it, coz I had just taken my 7 and 9 year old on the TAIPAN for their very 1st time - and they LOVED IT!!! 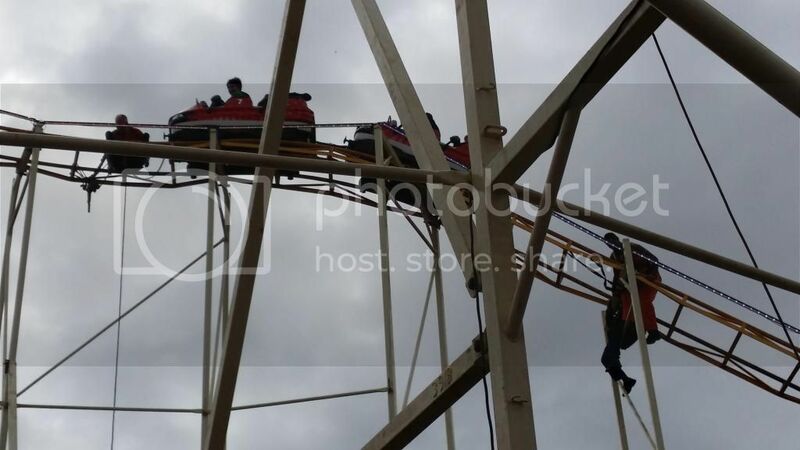 Anyway, it was interesting to see the progress on how the staff reacted - very methodical, and no rush - safety harnesses used etc ,,,, So maybe 5 guys scaling the ride. Have pics - can't upload - been away from site for too long and forgotten how! hmmmmm.......if an elevator in a high rise building stops working suddenly, and people are 'stuck' in the lift for an hour but it's only because the safety mechanisms all kicked in and 'worked perfectly as they should' to make sure the lift stopped BEFORE something bad could ever happen, would the news bother covering this at all? NO, because it happens every day. I think this story on the news was blown way out of proportion, the fact was what happened was supposed to happen. 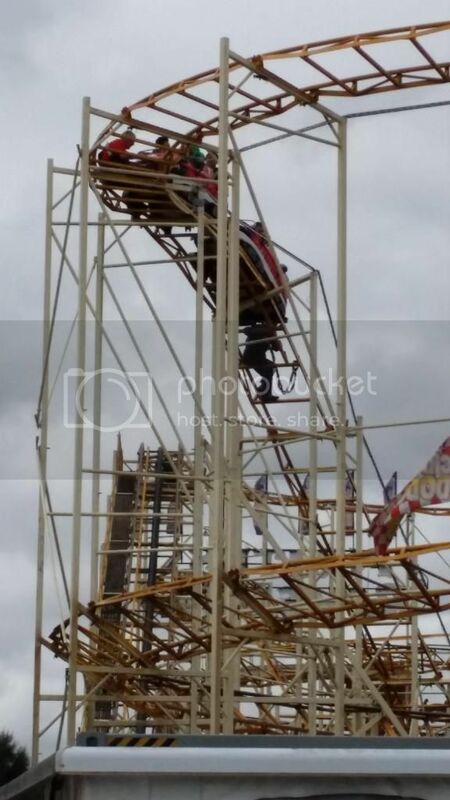 The media should be focusing on how safe these rides are and could have used this as a perfect example instead. 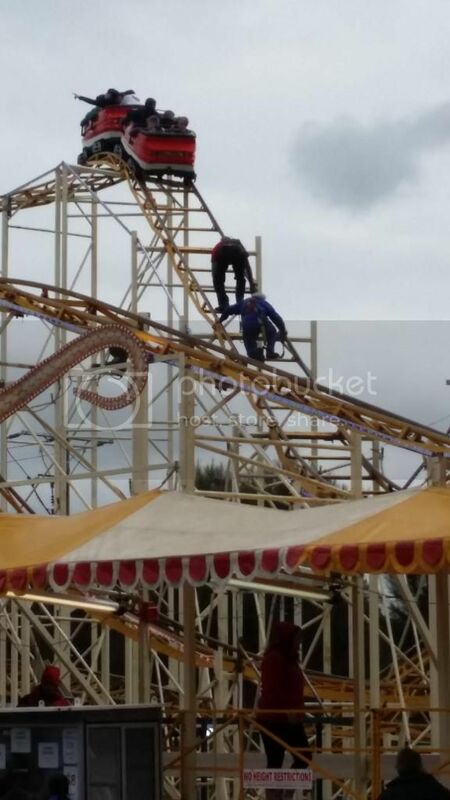 All rides have to pass a daily inspection BEFORE being allowed to operate. I am not sure what triggered the safety mechanism on Taipan but it was probably something minor. No one at any stage was at risk in any way on the Taipan. 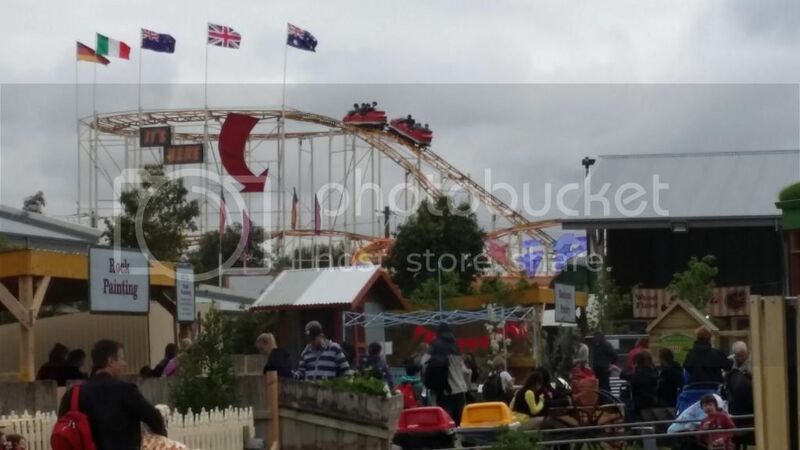 Of course the riders would have been worried and some were truly scared at the time, I understand this since these people were probably not educated to understand rides and how they really do work. The fact is it had stopped as it was designed to do, and this was a good thing just in case there was something serious about to happen. There was no need to worry at all, but the media like to feed on this kind of news and make it appear to be something more to make a story out of it. I have added the link to a story for all to read. Interesting to note that on the TV news, they said people were left 'hanging' and it was for at least one hour, hmm really that long? 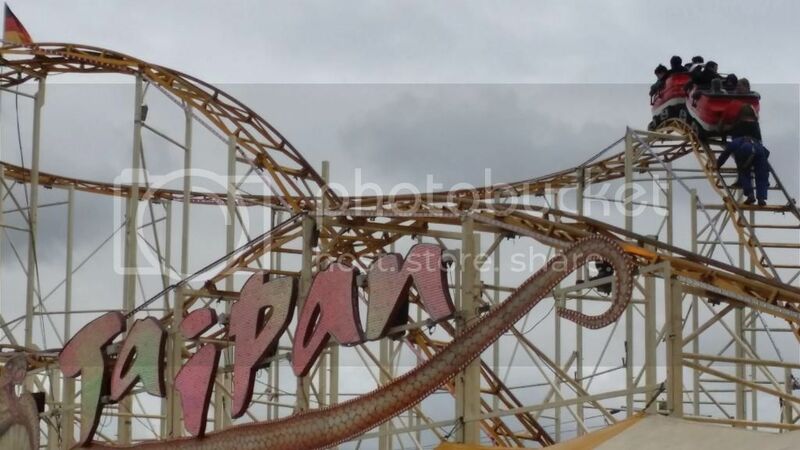 and I did not think Taipan was a looping coaster? so how exactly were people left ''hanging', what does that mean? I only saw people sitting on there behinds the whole time? 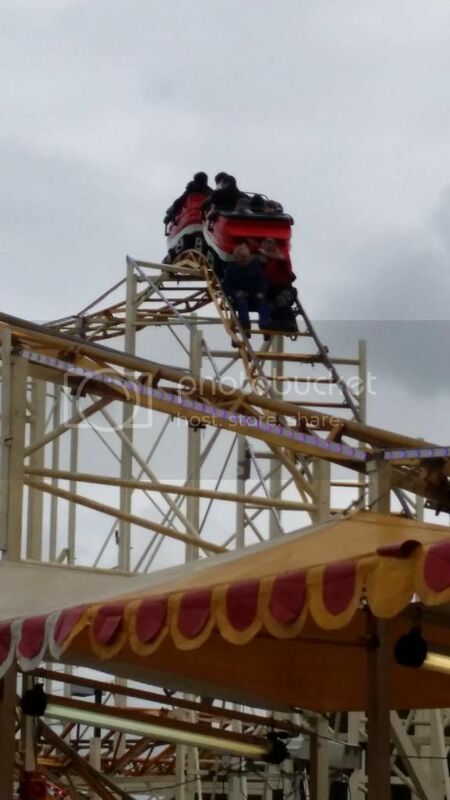 The story above does state the riders were stuck for about half an hour, followed by what was a 2nd incident which a train was stuck for 5 mins. Seems to be a lot of sensationalist journalism going on here. Anyhow, it seems from reading this story further we have a possible reason for this happening. "It is believed the cars got stuck because too much braking pressure was applied. 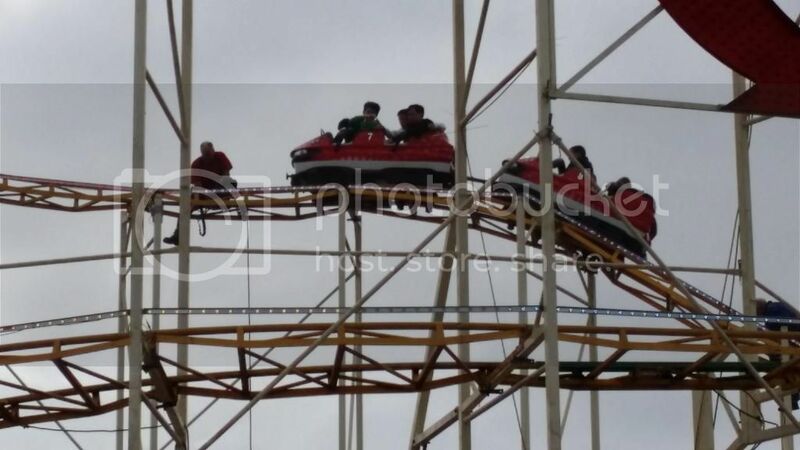 The brakes had been reportedly been primed for wetter conditions and heavier loads, stopping the cars in their tracks instead of slowing them down at certain points in the ride. " So there we have it, why on earth did the TV news media not even mention this is beyond me. I was more interested in the process of how they would get the car going again, as the back car still hadn't reached the summit. It was really interesting watching the whole attach chain process / using winch - he even got the passengers to hold some rope for him! 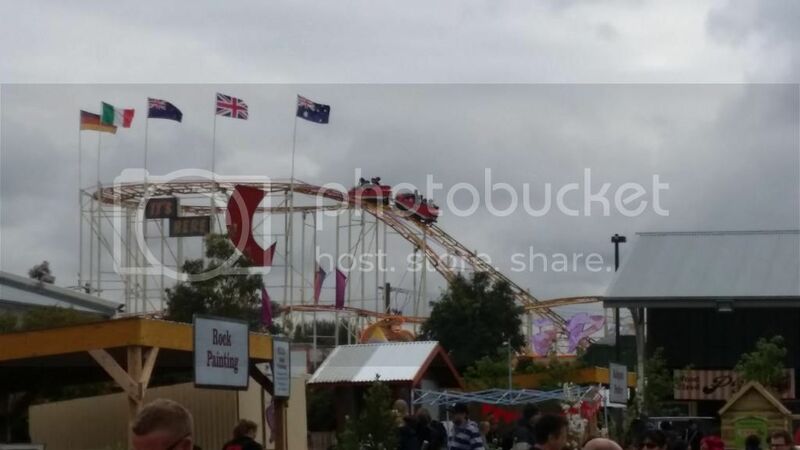 ^ True, there was footage on the news of one rider yawning the whole time and another rider said he was more concerned for the guys up there doing the work to get the train moving. 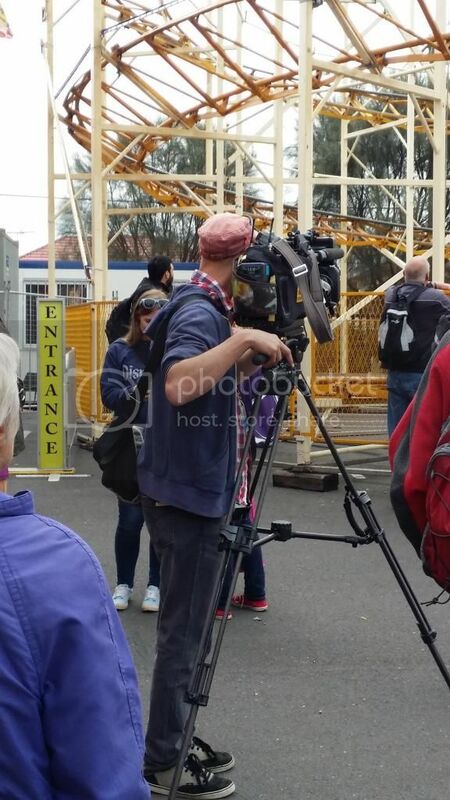 I think it is very wrong the news can get away with running stories like this, it made it out to be a safety concern and this may do harm now for the rest of the show as parents will not let their kids go on rides if they are convinced there are safety concerns. I wish the media would tell the truth for once. 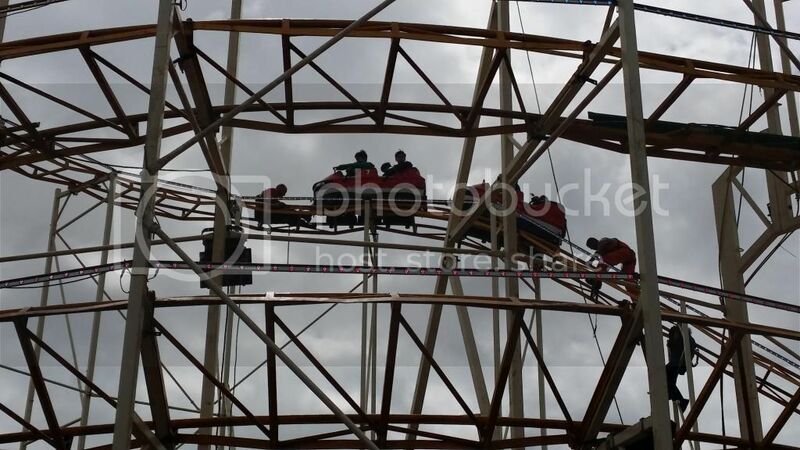 From my understanding and what was read it seems the only reason the trains stopped was that the breaks were working even better than was needed for the weather conditions that day, the rides breaks were over primed that morning expecting a day of wet weather. It just goes to show how much the Short and Laurie staff take safety so seriously with all safety precautions taken with their harnesses etc. I'm sure this was not a decision taken just for the benefit of the crowds and cameras and they were updating the passengers on their every move. Very professional!.